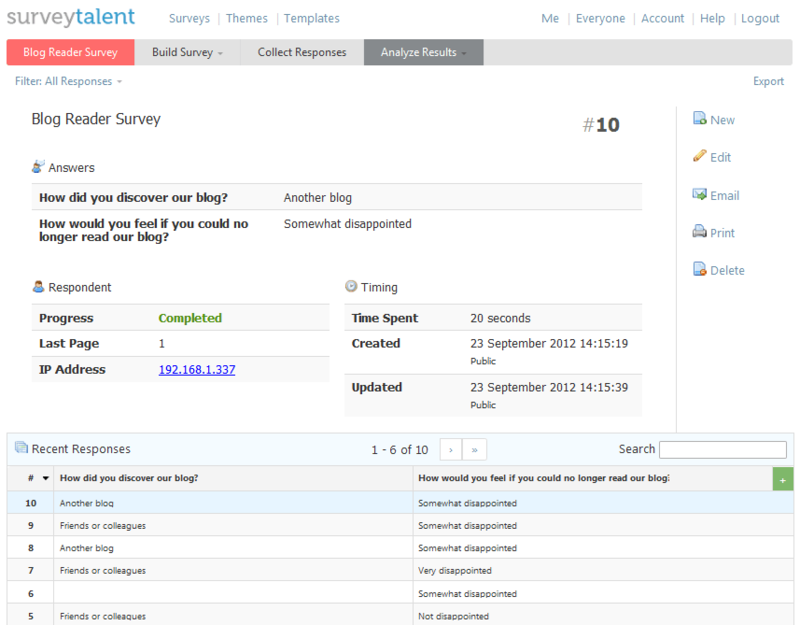 Browse through the responses and see their answers and all other information SurveyTalent collected for that respondent. This includes timing, pages visited, IP address, tags, and payment information (if you're collecting payments). Looking for a specific response? Use the search function to quickly search through all responses, or create a filter for more complex search queries. This is also the place where you can manually add responses into the system. Useful when you're collecting responses on paper as well.